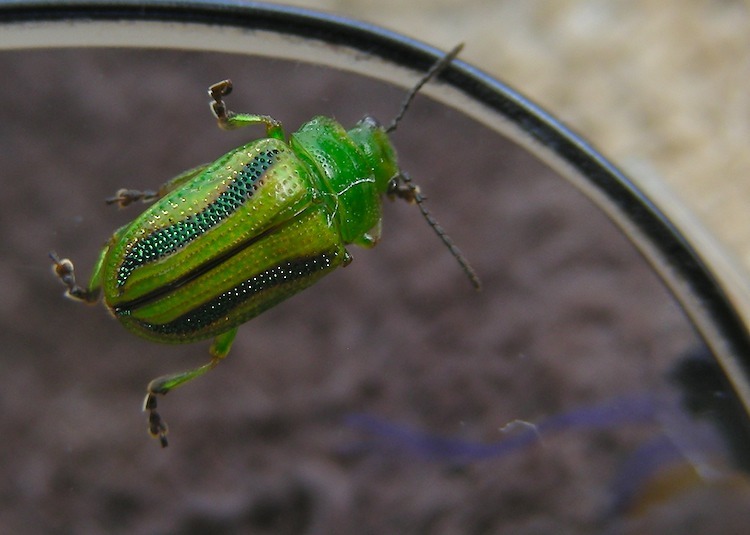 A small iridescent green beetle spent a few moments on my spectacles – it therefore was eligible to be photographed. It was about 5 mm (0.2 inches) in length. Perhaps a jewel beetle. Wrong head shape for a jewel beetle, possibly a leaf beetle. Very pretty anyway.